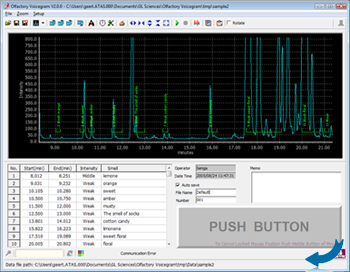 Software for our Sniffer for GC-MS, the PHASER, GC-O Sniff Port. 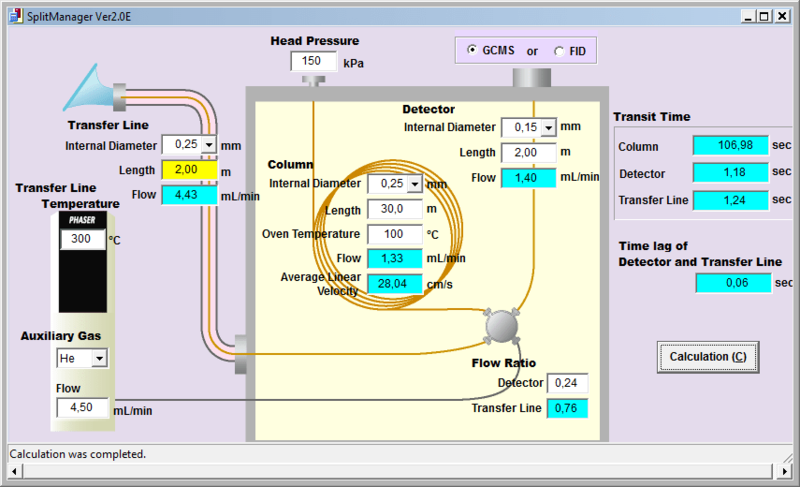 Standard with all GC-O PHASERS a calculation program (splitManager) is supplied to make the correct capillary tubing´s in order to have a good split ratio between the nose and detector. The GC-O Olfactory Voicegram is an option and is not supplied with all units. Our voice recognition / voice recording software can be used with any GC olfactory system for the identification of aromas or odors during an analytical run. With the integrated aroma panel there is no need for speaking, just select the created aroma name by mouse or touchscreen. Analogue signals can be used direct and can be displayed live during the GC run. 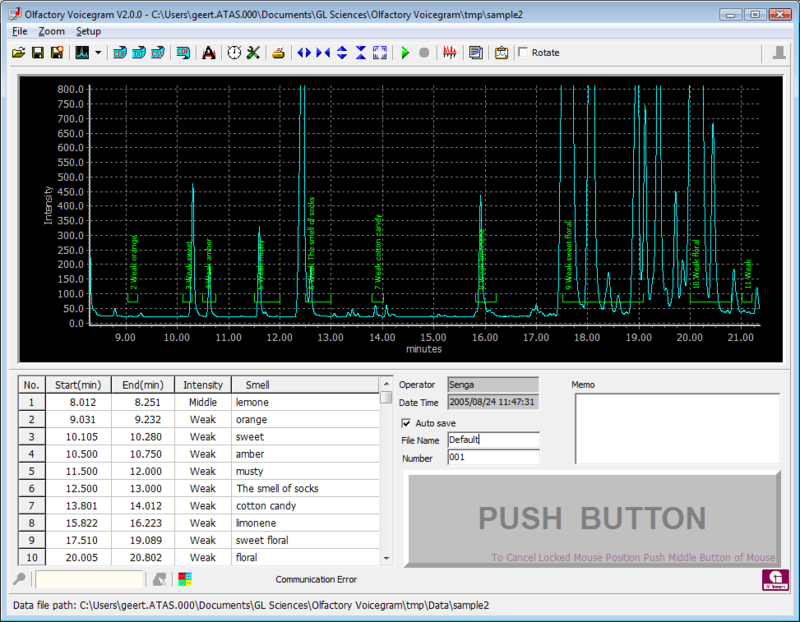 Data from a mass spectrometer can be imported after the GCMS analysis. The Palette can be configured to your own style. Latest GC-O software version=2.3.0 if you like to get this version, please contact us. Part number: G300023, GC Sniffing Port (100 cm transfer line) with voice recognition and recording software.